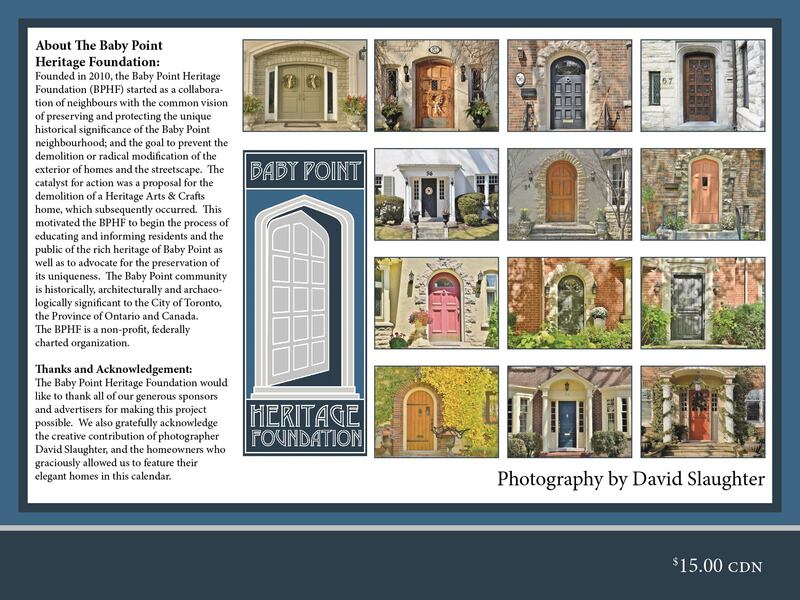 Founded in early 2010, the Baby Point Heritage Foundation (BPHF) began as a collaboration of neighbours with common interests and a shared goal: to preserve and protect the built heritage of this exceptionally unique neighbourhood. Concerned by interest in demolishing or radically modifying the exterior of homes and streetscape in Baby Point, and catalysed into action by the proposed demolition of a heritage Arts & Crafts home, the group decided to form the BPHF with the view to educate and inform residents and the public of the heritage of the neighbourhood, which is historically, architecturally and archaeologically significant to the history of the City of Toronto, to the province of Ontario, and to Canada. The Foundation was formally incorporated in August, 2010 as a non-profit, federally-charted organization.